Spread out over 100 acres, this gorgeous coastal estate boasts luxury accommodation, a tranquil spa and plenty of outdoor pursuits. Raithwaite Estate is situated within easy reach of historic seaside town Whitby and the beautiful North York Moors. Our members can enjoy an Executive Room with an exclusive discount on a 60 minute massage - the perfect excuse to indulge! 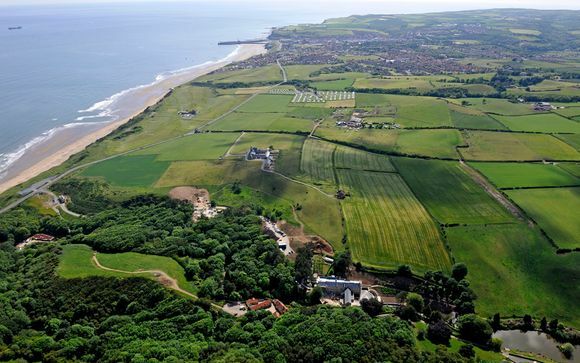 Raithwaite Estate is located in-between the historic town of Whitby and the quaint seaside village of Sandsend. Only a quick trip from the dramatic coastline, it offers easy access to Whitby town, North Yorkshire, the Yorkshire Moors and National Parks. The traditional maritime town of Whitby is well worth a visit, with its old cobbled streets, picturesque houses and sandy blue flag beach, dominated by the cliff-top ruins of a beautiful 13th century Abbey. There are a diverse array of attractions including the Captain Cook Memorial Museum, Victorian Jet Works, the Dracula Experience, Pannett Park and Whitby Museum, all providing visitors to the town with a fantastic look into its rich heritage. This beautiful coastal estate covers 100 acres and is home to two small luxury hotels, a collection of quaint private stone cottages, an exclusive Lake House and a tranquil spa. 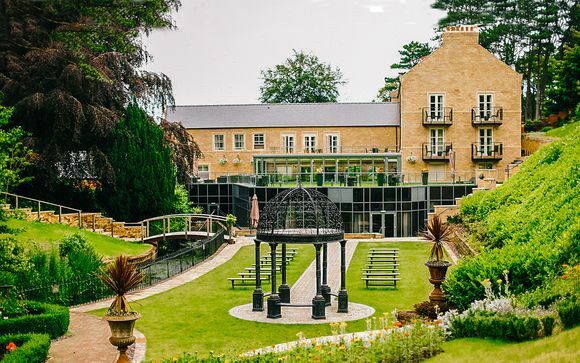 Our members will be staying in The Hall - a 45 bedroomed building that backs onto the stunning 100 year old gardens, or The Keep, which offers light and spacious rooms with a woodland backdrop. As well as exploring the beautiful grounds and the nearby North York Moors, guests can make the most of the numerous activities on offer from archery to clay shooting and cycling. There are also a range of beautiful drinking and dining options to retreat to after a day out, including the cosy Hunters Lounge and Brassiere Restaurant. Measuring approximately 25 sqm, this restful room features a King or Queen-size bed, under floor heating in the bathrooms to keep you cosy and free wifi. 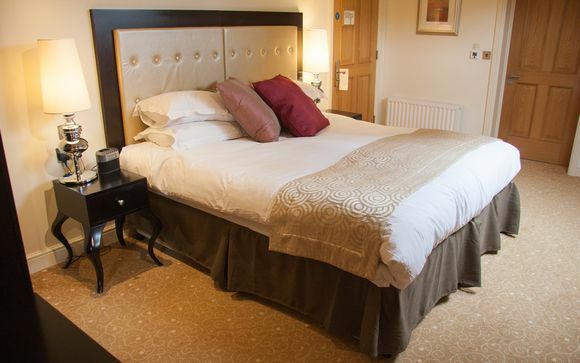 Please note: If choosing Offer Two, dinner will be on the first night of your stay, excludes drinks. This offer is available as a two night stay only. When it comes to dining you'll be spoiled for choice, whether its a relaxed lunch, a romantic dinner or a nightcap you're after. Choose from Brassiere Restaurant serving British cuisine with European influences, or Hunters Lounge - a relaxed restaurant and lounge located at The Keep. Finally there is Poachers Bar - a relaxed hotel bar offering a wide range of drinks and a light lunch menu, as well as signature cocktails and afternoon tea. Just for you: 10% discount on a 60 minute massage. 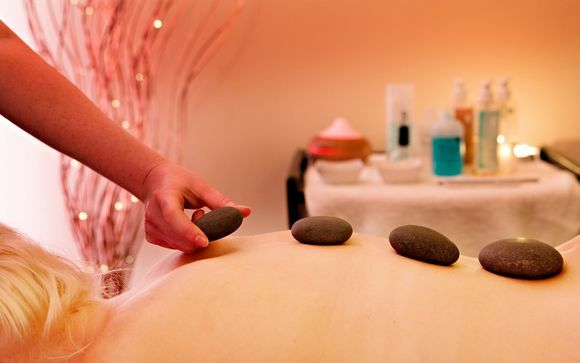 Boasting four treatment rooms, a relaxation room, heated pool, Jacuzzi, steam room, sauna and a gym, the Spa at Raithwaite Estate is an ideal place to wind down after a day of activity in the great outdoors.